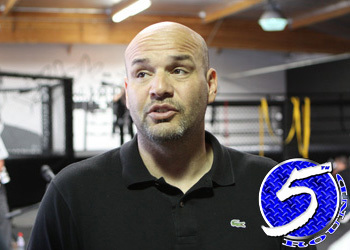 The UFC’s resident trash talker, Chael Sonnen, has been trying to catch the ear of 185-pound champion Anderson Silva, but it was “The Spider’s” manager Ed Soares who recently spoke about Sonnen’s suddenly popular verbal rants. While appearing on MMAJunkie Radio, Soares said he believes his client’s next challenger may be getting too caught up in the hype leading up to their hotly anticipated clash at UFC 117. “Unfortunately, before he started talking about Anderson, no one really paid attention to Chael. Now that he talks about Anderson, people are paying attention to him,” Soares stated. Following his win over Nate Marquardt at UFC 109, Sonnen has been taking verbal jabs at Silva since earning himself a shot at the crown. The Oregonian originally claimed the champ wouldn’t be willing to fight him, then he went on to say that Silva’s original UFC 112 opponent, Vitor Belfort, was much tougher than him. Finally, he professed that the champ’s 15-minutes of fame were up. When you’re the top dog in anything, detractors become the norm, and it’s no different for Silva. However, Soares believes Sonnen may be biting off a little more than he can chew. “[Sonnen has] always been really cool, but he’s taking this thing really personal. That’s OK. Whatever he’s got to do to get in his mind to motivate him to really want to fight Anderson,” said Soares. Silva will defend his title on August 7th against Sonnen. It will mark his first fight since his “embarrassing” showing at UFC 112 where he posted an uneventful unanimous decision victory over Demian Maia.